Personification is a very human habit. As social creatures our brains are trained to think emphatically. We like to believe we know roughly how other people are feeling because it helps us understand them better. This way of thinking goes beyond other people for many of us; we extend this empathy to inanimate objects as well. Children hold their toys the same careful way adults hold their mobile phones. These objects belong to us, we have put a little piece of ourselves into them, given them a name, told them our secrets and in return for keeping those things safe – we take care of them. We make sure they are covered up when we sleep next to them at night, we protect them with colourful cases that further reflect our personalities. By giving objects these pieces of ourselves we’re giving them a ‘soul’. We’re making them an extension of ourselves, and in return we expect them to work well for us. In the end, even when they fail we tend to blame ourselves for not looking after them better. In science fiction this idea is amplified. There’s no doubt that the human race will evolve further with the aid of technology and while futurists are having a difficult time visualising how this technology will look beyond the Singularity, there’s no question about it being there. Whatever the case, personifying the machines we’ll come to depend on will help us make the transition easier. In certain stories writers have made a point of showcasing this and spaceships with ‘soul’ are one of the things I love most about the genre. In a story told well, ships become far more than just a method of transportation, a backdrop or a plot device. They come alive (sometimes literally). The Serenity is a go to example of this. When Mal first lays eyes on her in the final scene of Out of Gas, he falls in love and it doesn’t take the audience much longer. While a salesman is laying it on thick about a yellow rocket in the background, something about that lonely grey ship at the back of the lot tugs at its future Captain’s heart-strings. By the time the series is in full swing, Serenity’s crew make no effort to hide how much they love her (because it isn’t an ‘it’ anymore thanks to them). From the stencils on the kitchen cabinets to the toy dinosaurs on the flight deck, the ship becomes as much of a character as the ones who call her home. Let’s not forget about old Galactica either. 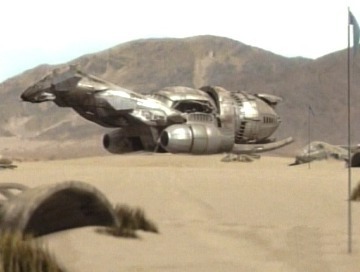 Fifty years old, nicknamed ‘The Bucket’ and due to be retired before the Cylon attack, this ship went from almost derelict to humanities last hope in a single episode. 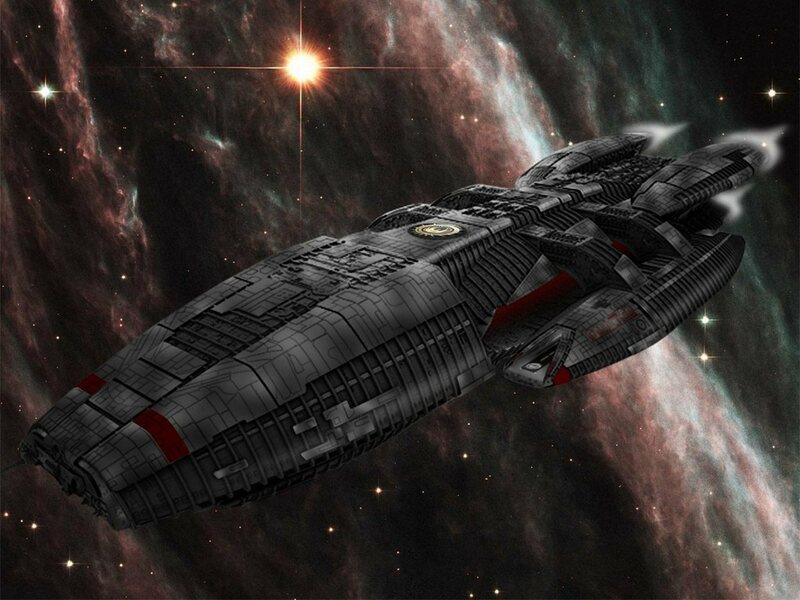 Thanks to its crew it became a both Guardian and guiding light – as other vastly more high-tech ships in the civilian fleet bowed to its charred and battle worn hull. I was heartbroken at Chief Tyrol’s assessment towards the end of the series, that not only had the Galactica taken just about all she could, but that she was a fixer-upper in the first place. When Admiral Adama finally gave the nod to have her stripped for parts I cried like a baby, the despair of the crew losing their home was horribly sad to see. The Andromeda Ascendant is perhaps a little closer to this idea. Although as with the Normandy it doesn’t take the crew long to figure out how to give her an artificial body as well. But while its avatar is busy suffering from sexual tension with the captain, the ship itself is all business. 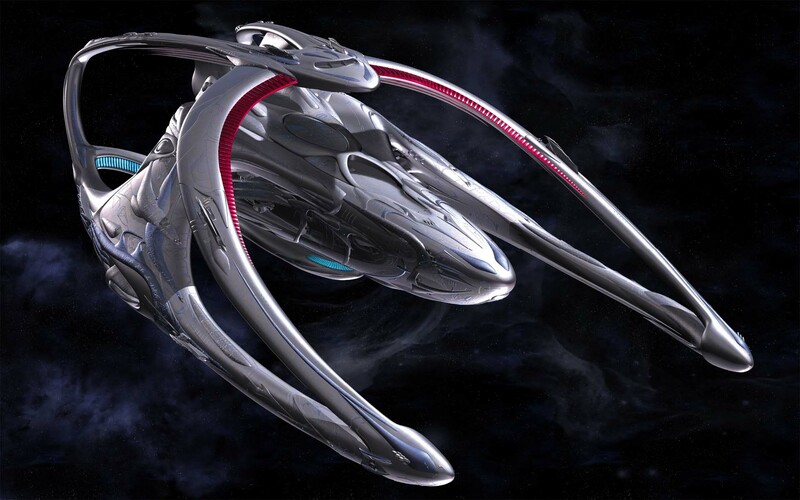 Andromeda is a ship built during a time when peace was the result of a law following nation and her expectations of her new crew often cause conflict. The two versions of the Ascendant play well off each other (but I’ll always prefer the Andromeda herself over Rommie). 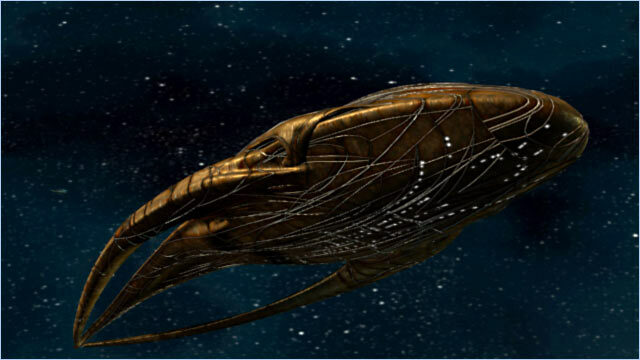 In Stargate Universe the Ancient ship Destiny is literally personified thanks to two rather unfortunate characters in the second season. Thanks to an unfortunate incident involving murder and the Communication Stones, Doctor Perry and Ginn’s consciousness end up as part of the ships software. Later they even manage to manipulate the ships systems. Living ships are at the heart of this trope and they represent this idea in all its glory. In Farscape, Moya isn’t just a way to travel through the galaxy, she’s a living, breathing life form with motivations and wishes all her own. Unable to communicate with her passengers verbally, she is bonded with Pilot, as all of her kind are. Together, Pilot explains that they only live to serve the members of their crew, but after the birth of her son, Talyn, we see her priorities change. She has a story arc just like the other characters on the program. 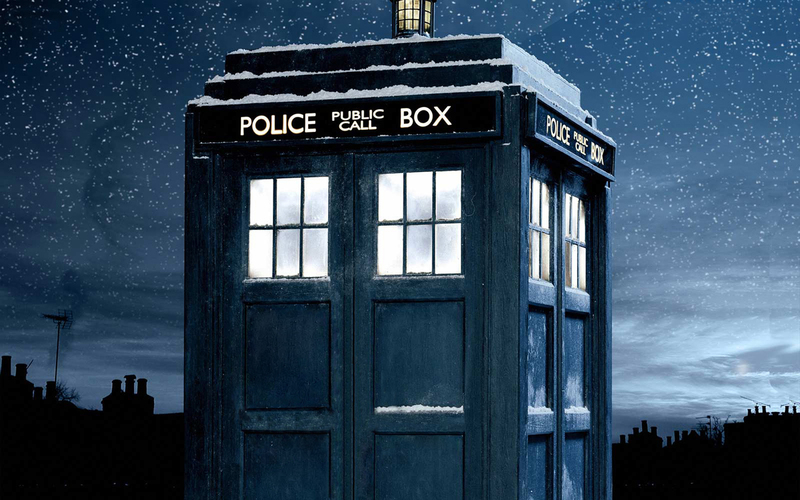 People who aren’t fans of Doctor Who may not know this, but the TARDIS wasn’t made, she was grown. The 11th Doctor confirms that she is alive by stating that while he may not always get to where he wants to go, he is always needed when he gets there, implying that the TARDIS has her own thoughts and motivations even though, like Moya, she cannot communicate these directly. I’ve always had a fascination with these sci-fi versions of mobile homes ever since I was introduced to Star Trek Voyager. I liked the idea that a ship could become so much more than what it was intended for. 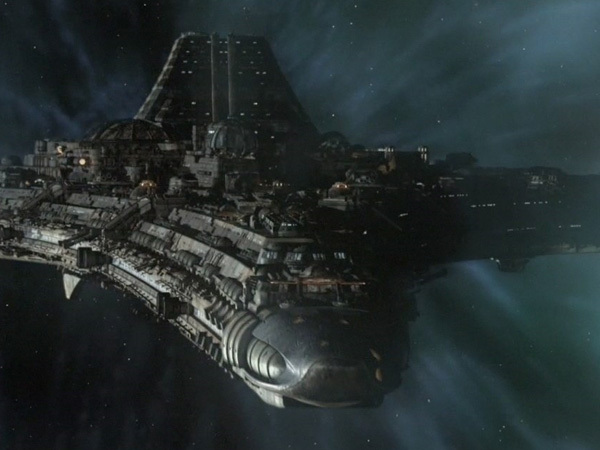 Though Voyager’s crew were stranded in the Detla Quadrant, they still made a home there thanks to that ship. I feel like my enjoyment levels while reading this post are further indicators of a closet sci-fi addiction… (requires further investigation and possible reevaluation of personal identity). I really enjoy your blog – it’s always a fun and funny read! I recently wrote a post about the challenges of writing about spaceships and dinosaurs. Without personification both are mere objects in a larger game. All the spaceships you mention are examples of bringing life and interest into what could be just a hunk of bolts and sheet metal. Thanks for the comment and I’ll check your post out! I love this subject, being the robot enthusiast that I am. I’d quite like to do another little study on this, comparing ships like the ones mentioned with others that don’t manage the same level of nostalgia these do.